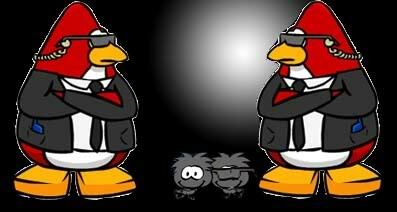 Here is one pic what i made for Penguin Squad. 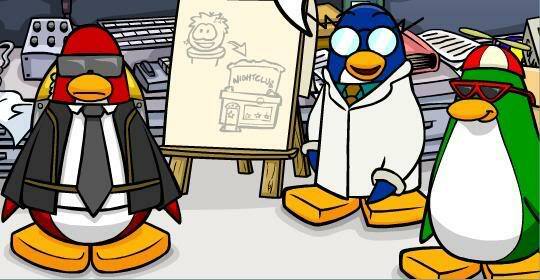 Tell me what you thing..
but what is those things just below the puffles? looks like scribblings..
anyway, im gonna add that picture instead to the background. and youll also be nominated agent of the week although it wont colour your name. No problem and thanx for putting me for agent of the week.. These stuff are bowtie but anyway, goot that you like it! dont look like it but cool. Duh? Its becoz it has got black background..
now its easier to see. Is there anyone else who knows how to draw?!?!?!? There are 35 users and only im posting pic and stuff???? Come on people! There must be some of ya who knows how to draw. I doesnt matter if its not goot pic, but sent what you are possiple to make. If you dont know HOW to post a drawing or athers, then just ask and ill be happy to anwser. Thanks for the incentivation omonoia. and i know who would be the mod..
No need to promise about it..
but it's always good to be re insured that someone is gonna post.